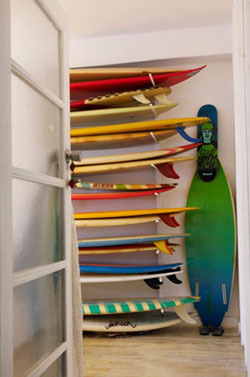 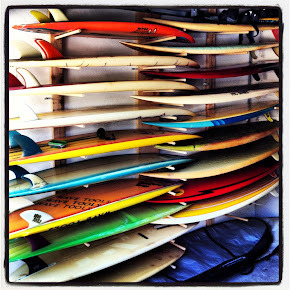 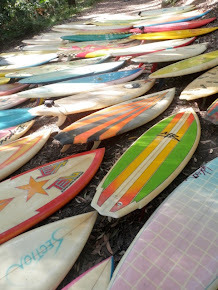 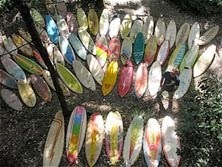 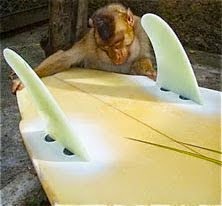 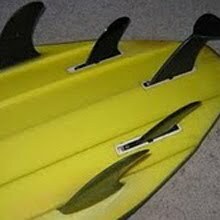 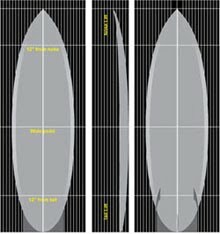 : Board Collector: Vitamin Sea twin fins. 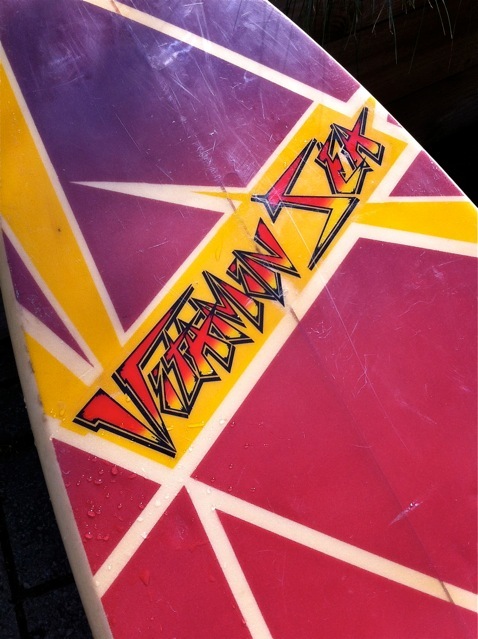 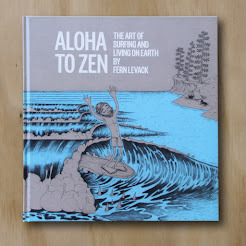 If you spend some time on Alasdair's blog Vintage Surfboard collector UK you cant help but fall in love with the amazing work that Chris Jones, Tad Ciastula and air brush artist Andy Cranston did in Newquay in the late 70's and early 80's at Vitamin Sea surfboards. 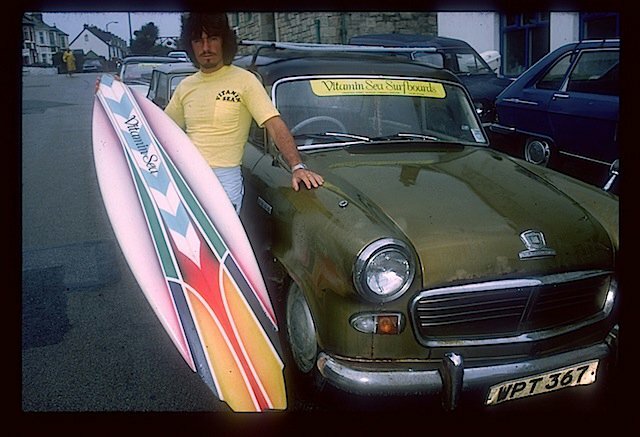 I find it interesting that Vitamin Sea was importing their blanks from Clark foam in the US and using Californian fin control systems when there was such a strong tie between the British and Australian surf scences at the time. 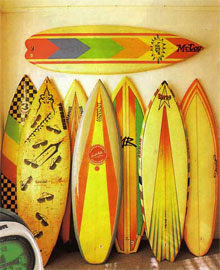 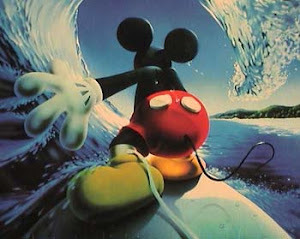 Especially as CJ and Tad were making Mark Richards and Cheyne Horan designs under licence. This UK / USA connection makes them even more exotic to me. 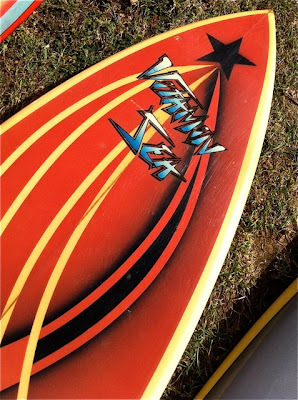 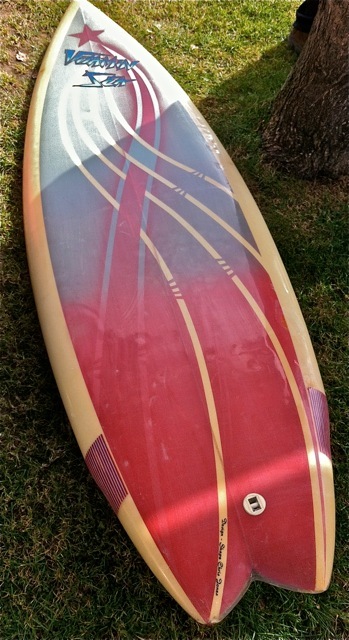 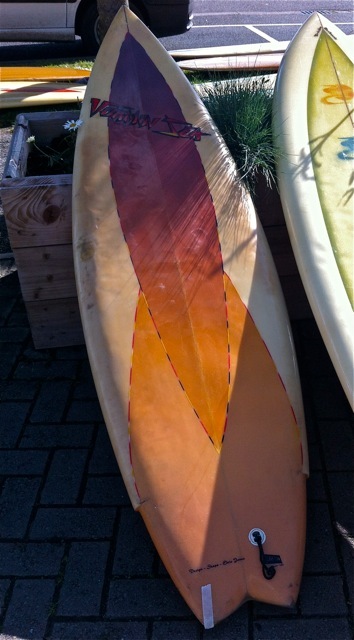 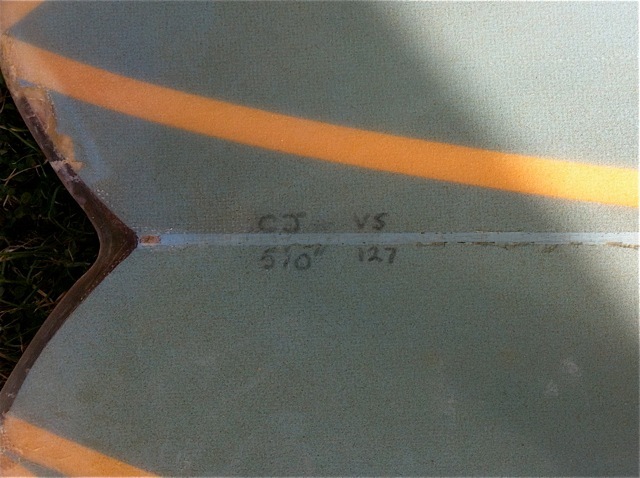 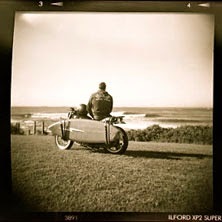 I set myself a mission to find and possibly get hold of an original CJ Vitamin Sea twin fin whilst I was in the UK. 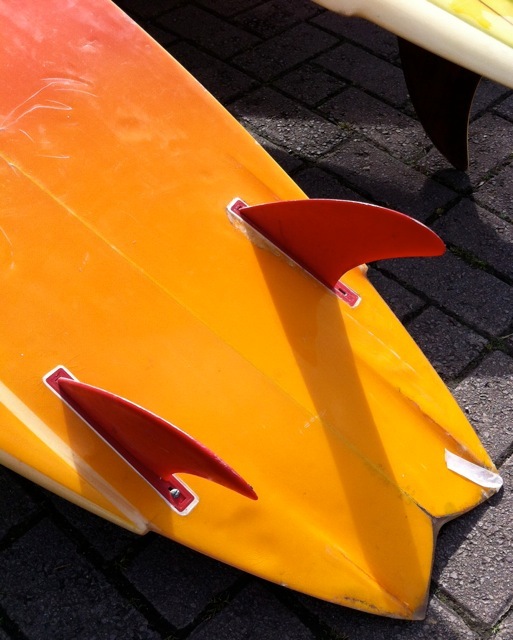 I was lucky enough to meet 2 gorgeous CJ twin fin's at the Vintage surf meet in Braunton but I was not able to persuade the owners to let them leave. 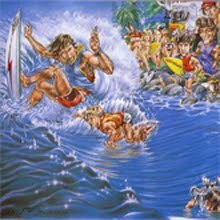 Like the Elgin Marbles from the Parthenon in Athens, its probably culturally and historically for the best that they remain in England's green and pleasant lands. 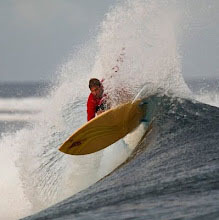 Gerry's first G-land pin tail. 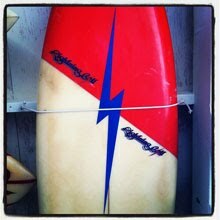 Early 80's Martin Potter Team T&C?